Every beauty junkie knows how quickly beauty products can pile up, overflow from our medicine cabinets to our bathroom counters, and seemingly multiply before our very eyes. As we commit to becoming our better selves for the New Year, what better time to finally tackle the beautiful mess that is our beauty product collection. We treasure our makeup, beauty tools, and hair products, so it's about time we show them the respect they deserve. We challenge you to overhaul your medicine cabinet and help it reach its full potential—a pristine presentation of your favorite beauty buys. To assist with the process, we reached out to professional organizer Tidy Tova for her tips on successfully decluttering your medicine cabinet in favor of a more beautiful, functional space. She spilled her secrets for taking on the daunting project and walked us through each step along the way, even giving her rule for keeping your beauty products organized once you've decluttered. 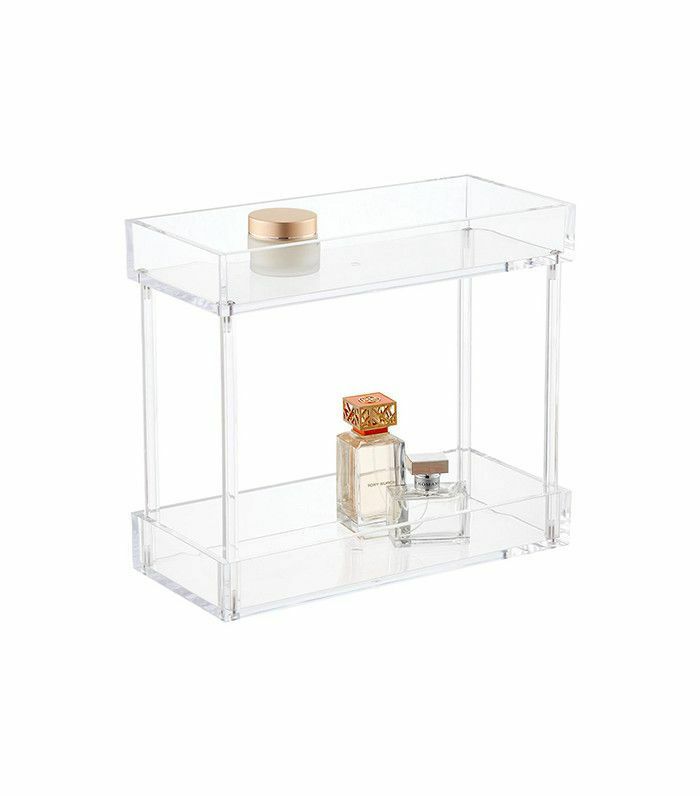 Keep scrolling for Tidy Tova's organizing tips and to say hello to a more beautiful beauty product presentation today. Before you begin organizing your beauty products, you have to know what exactly you're working with. "Take everything out!" says Tova, "It's the best way to really assess what you have." When you remove every product from its place, before putting it back, take a good look at each item and decide whether it's worth keeping. If it is, begin divvying up your products into practical categories. Tova suggests organizing by body lotions, first aid, makeup, and so on. This will help you make sense of how to best stow them away and also give you an idea of whether you have any duplicates worth disposing of. As you're cleaning out your beauty product collection it's important to audit what you own. "Organizing beauty products is just like organizing anything else," says Tova. "You have to be realistic and practical about what you like, what you use, and what's in good condition." If you notice past expiration dates or find your former beauty buys have turned old and crusty, it's time to toss them. Get rid of anything unusable to form a fuller understanding of what you have and what you may actually need. "If you hear yourself making up excuses (But what if I need this orange lipstick for Halloween three years from now? ), then be brave and let it go!" says Tova. Especially with beauty products, it doesn't make sense to keep something around if you're not using it. These items have life spans and take up quality real estate in your medicine cabinet or on your bathroom counter. "The items that stay should be those that you feel confident you like, use, and want to hold onto," recommends Tova. "No excuses for excess!" Once you've edited your collection down to what you really love, make sure you organize things in a functional (and sustainable) fashion. When giving each product its place, "always consider frequency of use," advises Tova. "Keep the products that you use daily together and super accessible." 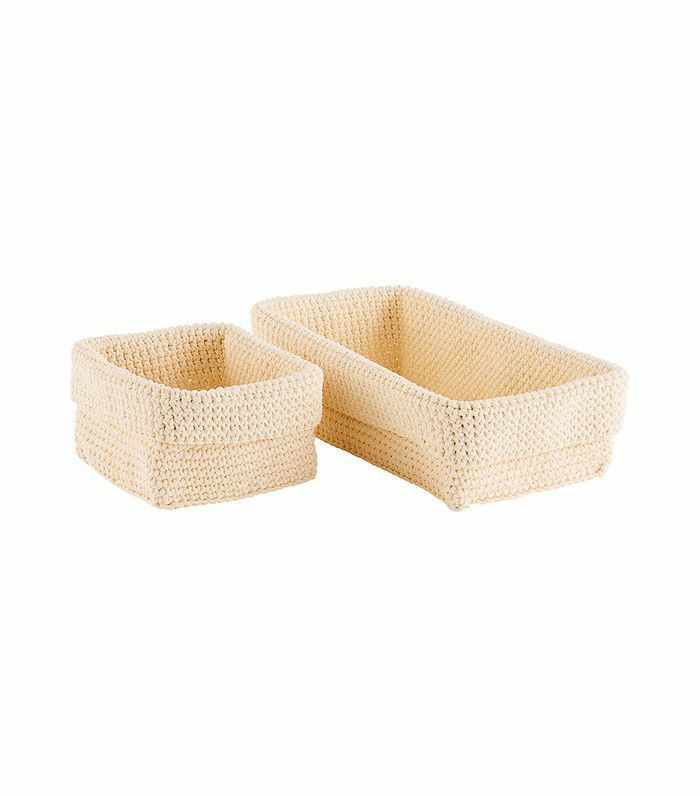 She suggests storing them in a makeup pouch or makeup organizer on your vanity, depending on your space. 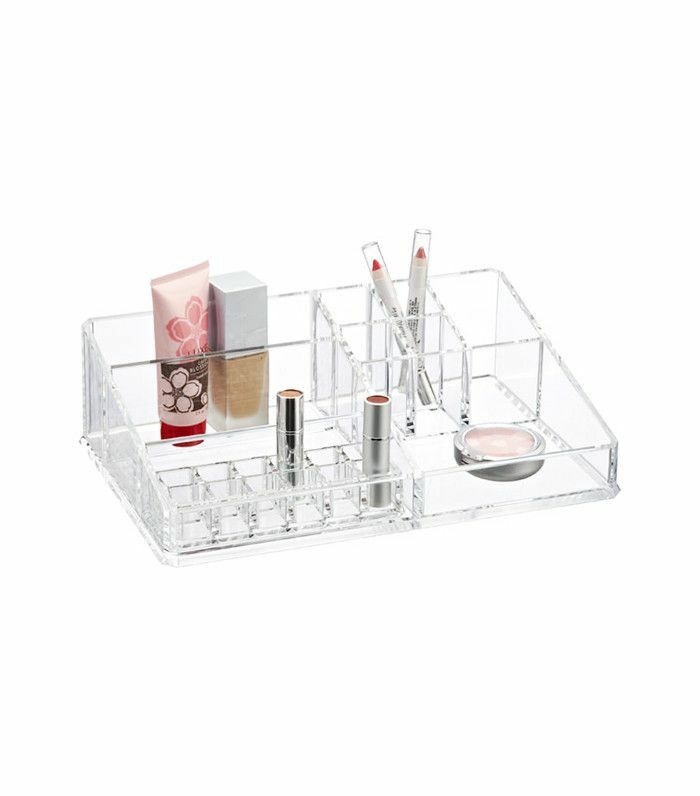 Tova always recommends clear, acrylic makeup organizers. "They work well since you can see what's inside and create your own modular system." The best organization method, however, varies from person to person. "If you have a lot of products and your routine varies, divide them by type based on what makes most sense to you," says Tova. "Either separate the products (lipsticks together, blushes together, etc.) or divvy up based on when you'll wear them (by season or time—daytime versus evening), whichever system makes the most sense to you!" Once you've cleared the clutter and organized your beauty products, how to you stay tidy as time goes on? Tova's biggest piece of advice is "learn to say no to freebies!" As every beauty junkie knows, "it's easy to accumulate more makeup than you need so be fierce about what enters your collection," says Tova. "If you're not going to use something, don't accept it at all." Additionally, you should be continually auditing your beauty products to assess what needs to get tossed. "Get in the habit of looking over your collection every three months to consider what you've used and what you're no longer into." 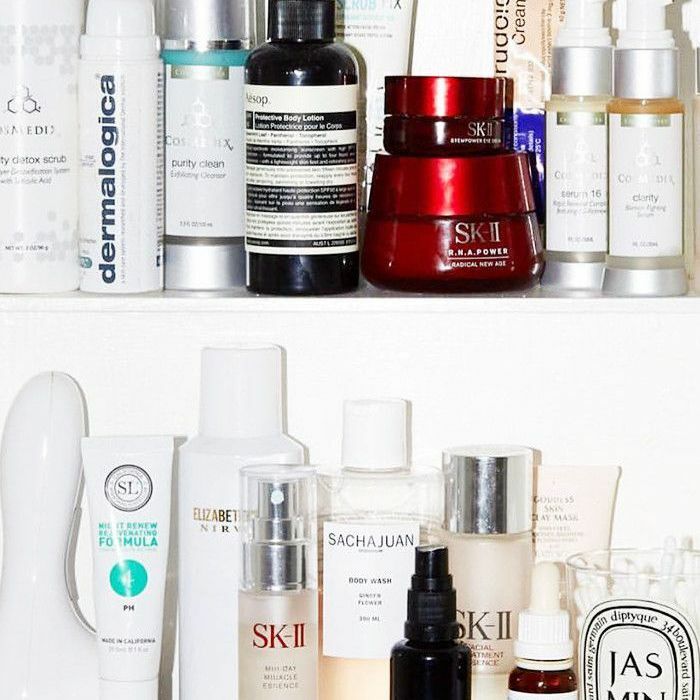 Have any beauty product organization tips or hacks of your own? Share them with us in the comments!